Mobile app markets are very competitive. With scores of new, stunning apps becoming available every day, users have increasingly high demands in terms of functionality, execution, and interplay. App developers find themselves facing ever-increasing competition and higher production costs. And while some app developers out there might actually be developing and marketing their apps out of good-will and charitable intentions (and without regard for costs), most of them will face the inevitable question of how to monetize their app, return their investment, and actually make a living off it. There are a few options available for monetizing an app: You can take the premium road and charge users upfront for downloading your app; you can pick the freemium option, offer a somewhat limited version of your app for free, and charge users for key products, functions, and options; last, you can take the advertising highway and offer your users a free, full version app to use, with advertisements seamlessly integrated in an unobtrusive way. It’s probably not going to come to you as a big surprise, but people generally don’t like paying for something they can get for free. Even if the price is as low as $0.99, it’s still almost a dollar more than the (free) alternative. And with millions of free apps available in the app stores, users can easily find free alternatives for almost any paid app. In addition, upfront payment before the app can be downloaded and tested is usually quite a turn-off for users. Unless they know of the app or brand beforehand, most likely they will just skip it in favor of trying one (or more) of the many free alternatives available to them. It’s easier to create a large user base when your app is offered for free. Many users who might have chosen to move on once they spotted a price tag, would probably be willing to give your free app a chance. A larger user base can be very useful. It highlights your app’s potential and helps attract money and investors. A large user base also means a comprehensive marketing (and re-marketing) database and potential traffic that can be monetized with – yes, you guessed it – in-app advertising. Let’s assume for a second that you’ve decided to charge users for downloading your app. How much will you charge? Probably somewhere between $0.99 and $1.99 per user. That’s a one-time charge, limited to the small percentage (about 5%) of users willing to pay to try your app. It will be much more effective to offer the app for free and capitalize on the much larger user base to make continuous profits by presenting ads and monetizing your traffic. The bigger the user base, the bigger the monetization potential. The same reasons presented above for not charging users for your app, are also relevant for not charging users for services and functions within your app. In-app purchases tend to have a “blackmail-feeling” attached to them, as crucial elements of the app are blocked and held hostage until payment is completed. This tends to annoy and antagonize users who, in turn, are more likely to switch to another (free-er) app, than to pay for the blocked services and functions. You might have encountered apps and mobile webpages that misused ads, threw pop-ups at you with too-small-for-human-fingers ‘X’ buttons, with videos that started playing loudly on their own, and with flashing, annoying banners that blocked half of your screen space. But ads don’t have to be that way. In fact, they ought not to be that way. Ads can and should be implemented tastefully and naturally. They should be placed strategically at key points in the app’s flow (in between levels of a game, or at natural break points), and in a way that doesn’t interfere with the app’s functionality and the user’s experience. 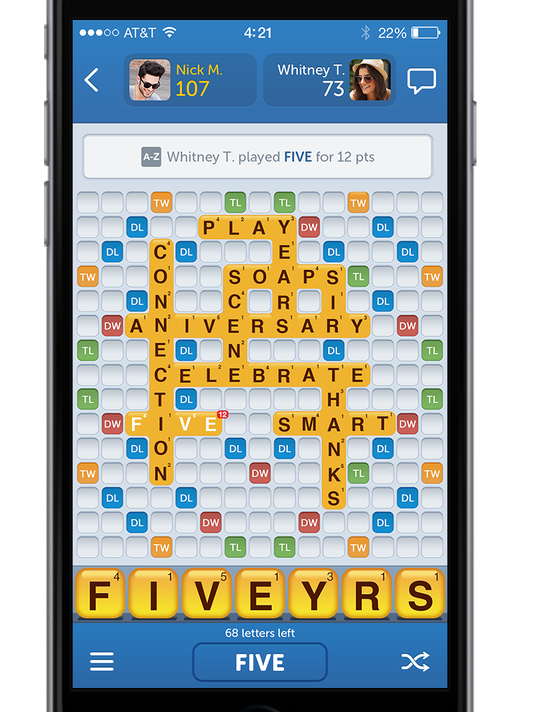 A good example of that is Zynga’s Words with Friends game app. 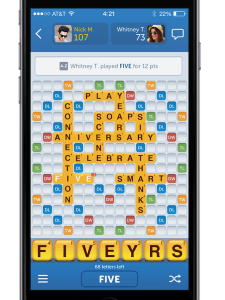 The app limits ad presentation to two main locations: a full-screen interstitial static/video ad between turns, and a small, unobtrusive banner intermittingly presented on the bottom of the screen. Ads can even provide users with added value and enrich their app’s experience, especially when they are targeted right (per location and app category for example) and with relevant content. A flight search engine app, for example, can provide its users with relevant hotel and car rental ads – saving users the hassle of searching for those services on their own. Blog post originally written for MobCo Media.